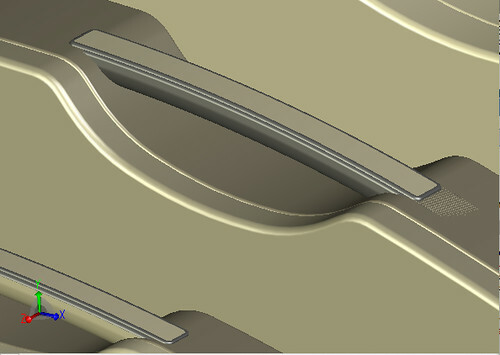 Barry Noble has worked up some CAD images of what the new handle design will look like. Always looking to keep the design as simple as possible we've decided to shorter the handles and have the attaching screws covered by leather recessed into the stainless steel handle plate. I've been pondering over the design of the handle on our cases - wondering if we can do away with the stainless steel and just have leather. I'm looking for a solution which is cleaner and simpler. 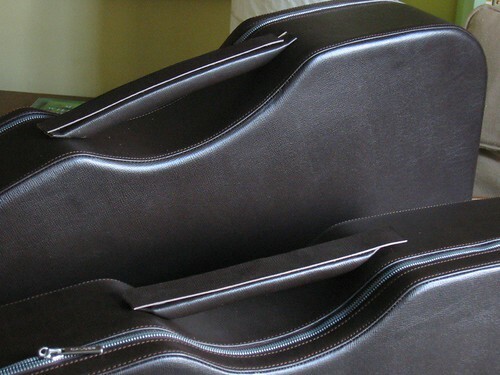 Here's a rough mock up I did last night on the classical guitar and violin cases. a couple of hours after posting the above I came up with this combination of leather and steel which I think is in the right direction. 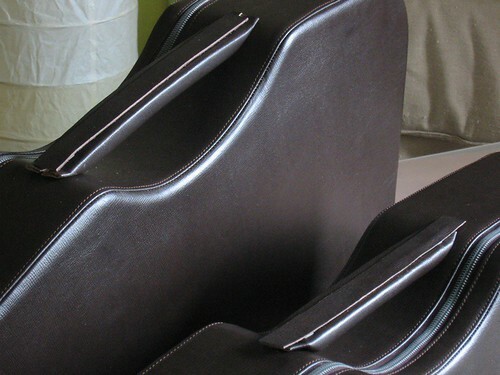 The leather would be recessed into the steel. Here's the results of some work I did today on the laptop case suspension system. 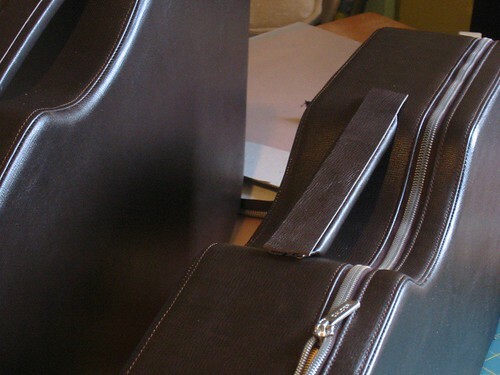 As with our guitar cases damage is prevented by holding the laptop very firmly between foam pads. 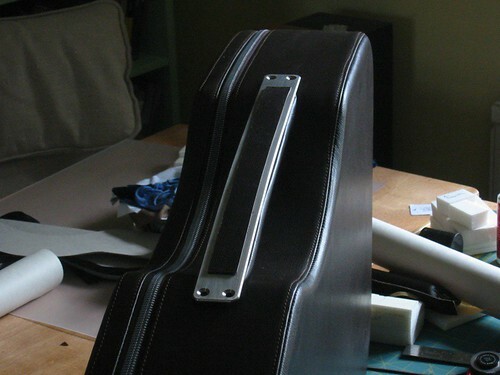 Unlike guitars and violins, laptops are heavy for their size and have internal parts that can be damaged by shock. 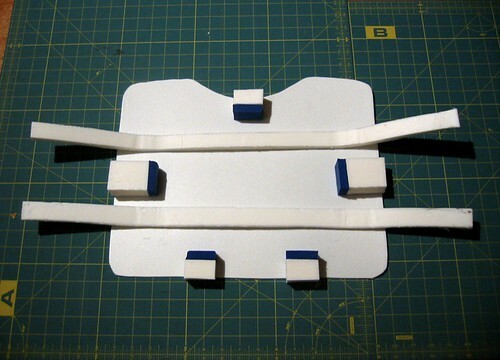 Because of this the suspension blocks are made of two densities of foam. The blue foam is relatively soft - a type used in many sports applications. In a severe impact this foam acts as a crumple zone - allowing the laptop to move about 5mm and in so doing absorbing much of the shock. The denser white foam provides a firm support and also absorbs shock. 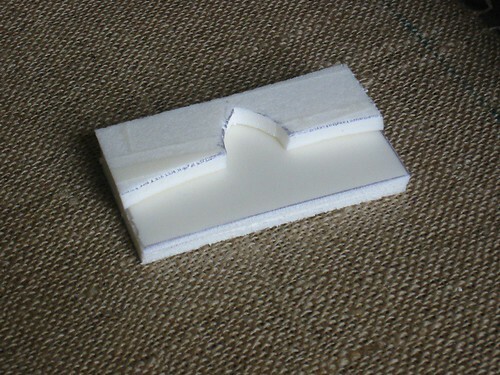 The cross straps are 12mm thick closed cell foam running under and over the case and secured with velcro. 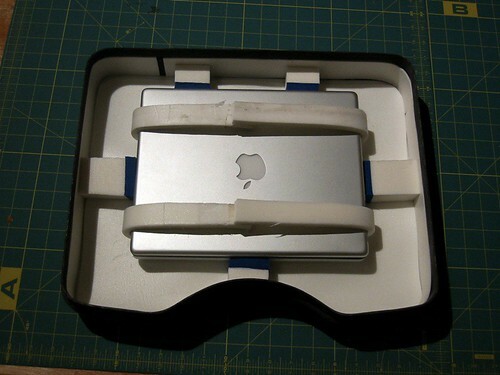 Because level of protection is bulky and may not be needed at all times, the suspension blocks are mounted on a seperate base which can be removed from the case. The inside rim of the case is lined with 12mm thick foam which will provide protection from minor jolts and knocks when the suspension system is removed. Here are some shots of work in progress on the classical guitar suspension system. After a lot of experimentation and discussion I decided on a 'positive locking' system that holds the instrument firmly when the case is closed. 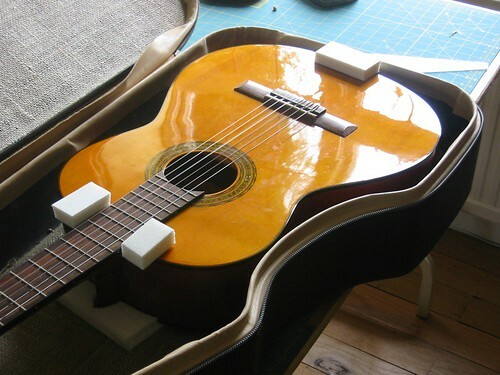 The suspension blocks are located on the top and bottom of the case and grip the instrument where it is strongest - at either end the body where the upper and lower blocks can withstand substantial pressure. 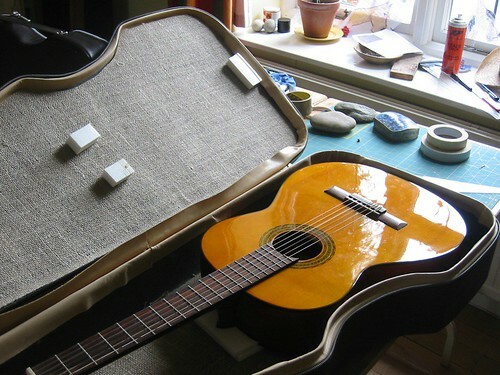 This system ensures that when the case is closed the guitar/violin is held so securely that it cannot move in any direction. The suspension system blocks are made of shock-absorbing semi-rigid closed cell foam covered in silk velvet. 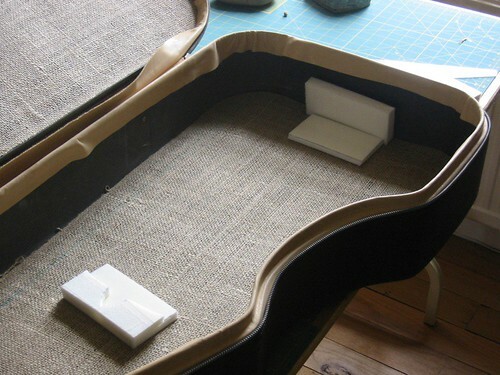 These shots of a case in production show how the blocks will be laid out and how they will contact with the guitar. 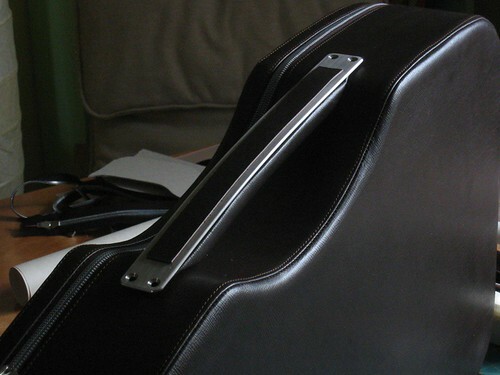 Here's a close up of the block which holds the heel of the guitar.